I came from HK in 1982 after my secondary education. Because of my mother, I liked to collect stamps, old coins when I were young and I continued my hobby after I migrated to Singapore. In mid 80s, almost every of my generation started to crazy about retro items and comic books. And as a graphic designer (I graduated from Nanyang Academy of Fine Arts in 1986), I also influenced by this trend. I stopped collecting stamps, started to collect vintage watches, old magazines, old comic books and most of the time I looked for them from dust bin. Yes, from dust bin, just like “Kalang Guni” but I enjoyed to do it. And you won’t know, I can find plenty of old comic books, vinatge magazines, “Kuti Kuti, old photos, old electric fans etc during that time. The reason is many old houses, buildings were demolished in 80s and many people were moved from old houses to new HDB flats, so they kept on throwing things. 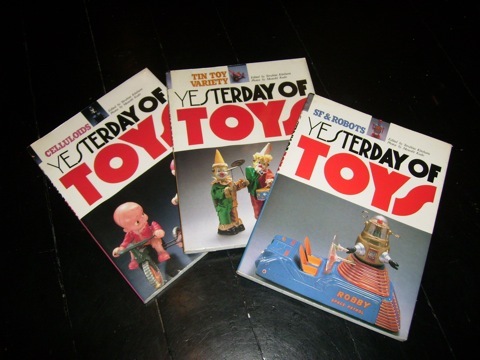 One day in late 80s, I went to Page One at Marina Square to look for the latest graphic book (The 1st Page One book shop was opened in Marina Square) and I saw one book named YESTERDAY OF TOYS accidently. 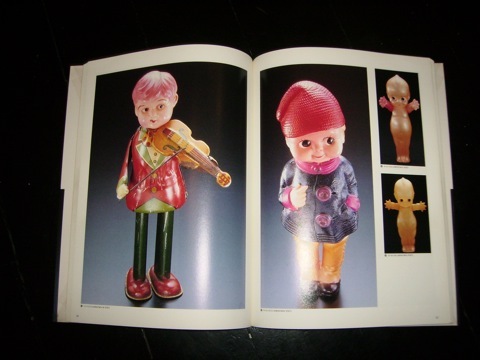 This book was written by a very popular Japanese tin toy collector, Mr Kitahara. 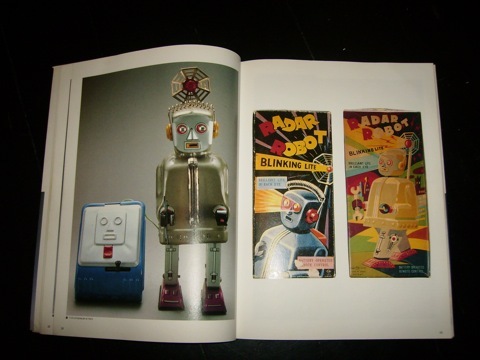 (Mr Kitahara owns a tin toy museum in Yokohama). 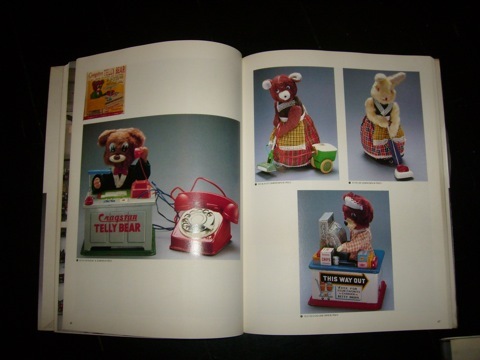 I attracted by this book a lot after I flipped through and I told myself I “HOPE” TO COLLECT TOYS. In fact, this decision is building up my way to MoST (Museum of Shanghai Toys) in 20 yrs later. I started to hunt toys beside old comic books and vintage watches, but it seems no luck for me. In 1989, while visiting Kota Tinggi, Malaysia with my friends, I came across a toy shop. 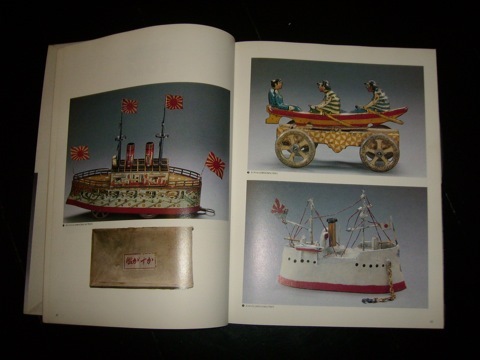 I found few China made tin toys that I played with when young on the showcase. I were really really happy and decided to bring them back to home. This was my 1st time to own tin toys although they were not old but this decision brought me to my dream further. These toys included rocket, bus, jeep and truck. My 1st vinatge toy was bought from a HK antique shop in late 80s. This was a very old toy, made of celluloid (celluloid is a very popular material used to make toys, containers before the invention of plastic) and made in Occupied Japan (1940s). 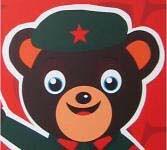 If I am not wrong, the toy cost me HK$250.00 (About S$45 in 80s). Not cheap for me during that time. 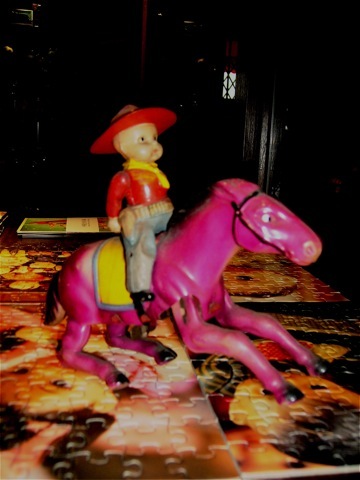 My 2nd vintage toy but so called my 1st vintage TIN toy was bought from a very polular antique shop located at Neil Road (Opposite Singapore General Hospital) in early 90s. The owner is An Choon. This antique shop was recommend by one of my friends, I went to visit the shop in one of the afternoon. 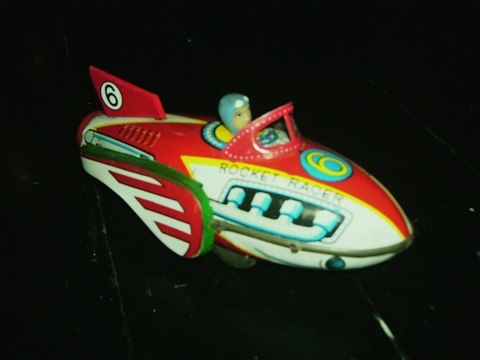 When I stepped in, I was so excited, not because of all the old old things, but because I saw plenty of old tin toys which I only could view them from the book, YESTERDAY OF TOYS. 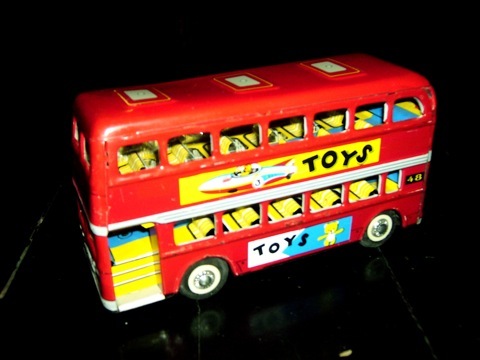 There were UK made wind-up tin toy bear, Japan made battery operated robots, Germany made tin toy car, UK made tin toy trains. I can’t believe I had the chance to see them outside the book. I asked the owner, how much will it cost me for one of the tin toys, but the owner told me that all these tin toys were reserved for one customer. (If you want to know who is this customer, pls visit my blog often 🙂 ). 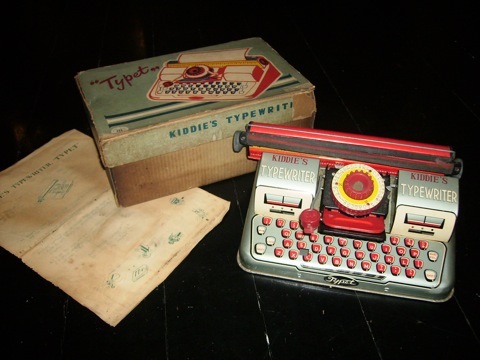 u collect toys, my couisin collects old tyepwriters as old as 50 years ago. Hi! Tks for visiting my blog and read the story. 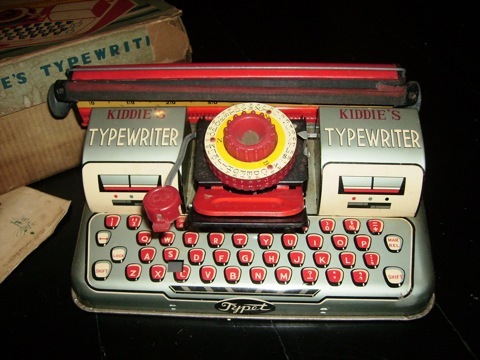 Hope you will continue to support and hope your cousin can collect more nice typewriters. p.s. u sure he won’t sell??? Hi! Thanks 4 visiting the blog. The story which I share with the blog visitors is 17 years ago, I am not mature enough to handle the relationship during that time, so there are plenty of misunderstanding. Anyway, that was the past 🙂 I am not sure whether An Choon still have any toys for sale now, but you can try your luck :-). The address of the shop is 31, Kampong Bahru. The owner is Ah Choon. Or you can viist Man’s antique at China Square, he has plenty of old tin toys for you to choose. His contact number is 96863287. FELICIDADES POR SU INTERESANTE MUSEO, YO COLECCIONO CARROS DE JUGETE Y RESTAURO PIEZAS QUE PRACTICAMENTE SON BASURA.